Chris Moore used her Time Off Community Support Grant to teach staff at an AIDS orphans school. Chris Moore left Fort Collins, Colorado, to help orphans in southwestern Uganda. 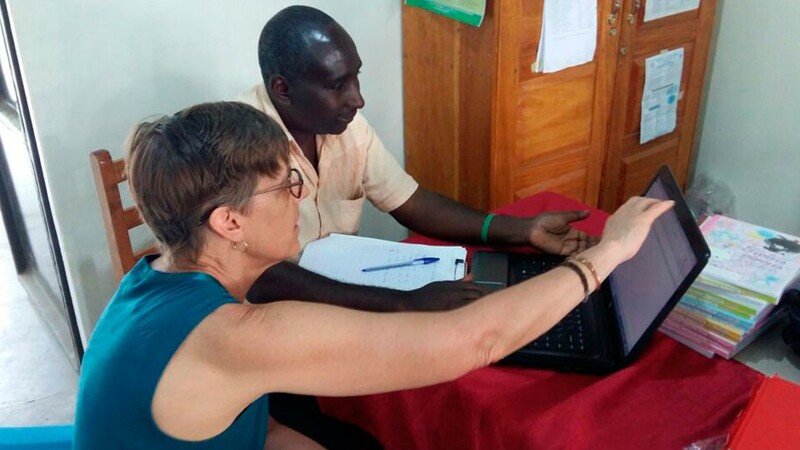 Once she got there, her eyes opened to how sharing even basic PC skills could help a charity do more. When Chris, who works for HP as cost strategy lead for the Workstation and Thin Client business, learned about HP Time Off Community Support Grants, she chose to join the Nyaka AIDS Orphan Project in Uganda. The organization provides educational and economic opportunities to children orphaned by HIV/AIDS and their caretakers in Kanungu and Rukungiri districts. 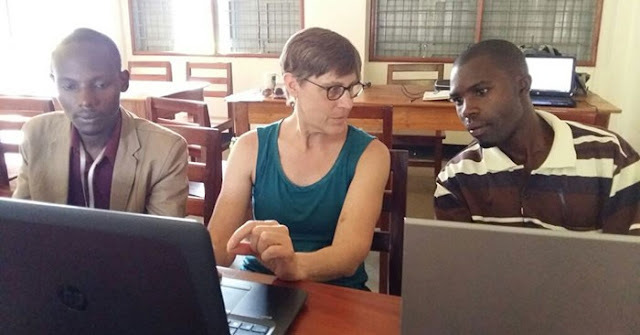 Her grant was awarded, and during the last week of March she was on her way to the Kanungu district of southwestern Uganda. “Human interest writing is probably not my strong point; I am an accountant by training,” Chris said. So The Daily Inc. talked with Chris to share her story with you. Founded in 2003, Nyaka has two primary schools, a secondary school, two combined community libraries and computer labs, and a community clinic. It also supports graduates who go on to vocational schools or universities. 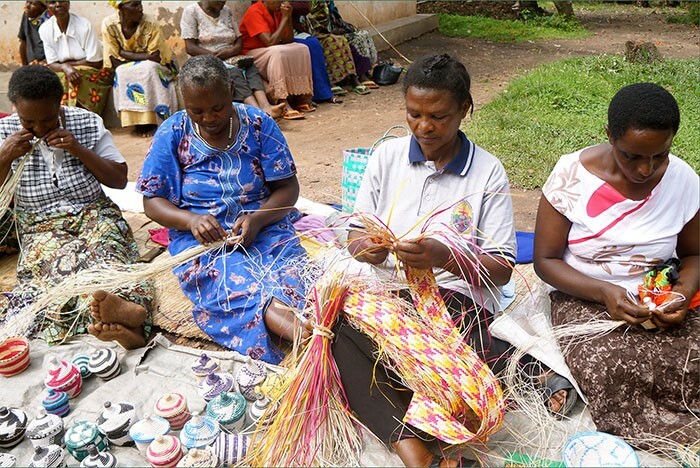 Nyaka has a microfinance program for over 7,000 elderly women, who make baskets, bowls, and jewelry (take a moment to visit the Nyaka Grandmother shop on Etsy). What led you to Uganda? Learning about other cultures is my passion, and I felt making personal connections with people would provide a wonderful opportunity to bring cultural understanding back to my community. Cultural sharing is essential to mitigating stereotypes on both sides. Rural Uganda is a little-recognized or understood part of the world. Sharing my experience in Uganda would hopefully broaden my co-workers’ awareness of Uganda’s people, culture, and environment. Getting personal exposure to how PCs are used in this environment would help contextualize how HP’s PCs are being used around the world. I wanted to bring back an understanding of what kind of literacy is needed to be effective, and how impactful PCs are in a remote environment that is just now becoming plugged in to the world of technology. Tell us about your week in the Kanungu district. Technological literacy, personal computing skills, and their obvious benefits are assumed in our culture, but that’s not the case in so many other parts of the world. My one-on-ones and small-group tutorials reinforced how impactful PC skills can be. The Nyaka staff uses Word for their monthly reports, including Word for data tables. Almost no one had any effective knowledge of Excel, and there was apprehension at first. I started by teaching formulas, simple modeling using sums, and copy/paste. Once we got past the apprehension this was a really fun group—interested, engaged, asking questions. After a couple of days, everyone from the head teacher at the primary school to the operations manager asked for a tutorial or joined a group. I felt really successful and hopefully made everyone's work life a little more efficient. What’s important for HP to take away? The most important functions on a PC are reliability and power. There is no computer repair or IT support in rural Uganda. And although the solar power is augmented by a generator, the power supply is still not reliable. The PC donated by HP was probably one of the best gifts. Funding for administration functions is difficult to obtain; yet without it, any organization is less effective. A rural environment and solar power require different work strategies than here at home. Some Nyaka staff members do a lot (if not most) of their work on their cell phones, including full-length emails. Cell phone data plans are significantly cheaper than in the US, and since the electricity required to power internet access is not reliable, almost everyone relies on cell data plans to access the internet. What was daily life like? Nyaka maintains a guest house with running water and solar electricity. Showers were best in the late afternoon when the water had been warmed by the sun and after walking the hot, dusty mile home from work. Solar panels on the roof of the school provided enough power to run some electric lights after sunset and to charge my cell phone, but plugging in a computer would usually blow the power and leave me in the dark for the rest of the evening. Planning meals without a refrigerator is a new skill. The staple of the Ugandan diet is matoke, which is made from cooked green plantains and tastes similar to thick mashed potatoes. Matoke is served with beans prepared with tomatoes and onions, and stewed greens complete the meal. For breakfast I had a porridge made from corn that was a lot like Cream of Wheat. Do you have any words for others planning to apply for Time Off Community Support Grants? This was a wonderful and special opportunity to experience a new and different culture, while also sharing technology and tools that most of us take for granted. Be open minded and flexible, and don't expect to measure efficiency by US standards. Ask what contribution would be most effective and don't be surprised if it’s not what you would expect. This story originally appeared on HP’s internal communications platform, The Daily Inc. © 2016 HP Development Company, L.P. For inquiries please contact newhpportal@hp.com.